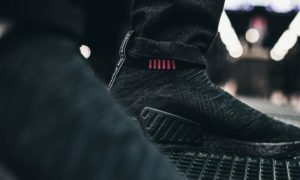 For fans of the triple black NMD, there’s a new silhouette getting the blackout treatment. 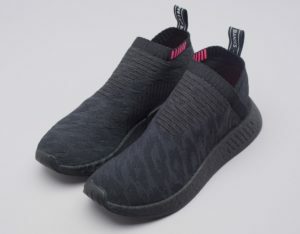 The Tripple Black NMD CS2 features a Primeknit sock upper and subtle hot pink highlight on the cuff. 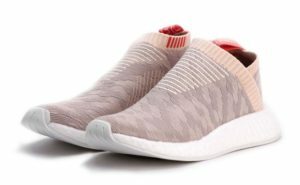 Adidas is also dropping a pink CS2 for women… for some reason.